Three announcements before I talk about a REALLY important issue in the art industry that I recently – and very personally – experienced. Normally, this day is reserved for “Website Wonders.” But I have made an exception. You can expect February’s Website Wonders next time, but I hope you will read what I have to say today. As if that review wasn’t marvelous enough – YA Book Reviews ALSO posted their review of Seconds Before Sunrise, because she “started this book today… and finished it today. This was the perfect addition to the first in the series. I loved the first one and found that I loved this one even more.” Read Aubrey Joy’s full review by clicking here. Thank you to all three of these lovely readers. If you follow my author Facebook page, then you already know what happened to me this week. I was emailed by one of my followers who then directed me to a few people who have used my quote in their recent writings – without my permission, without talking to me, and definitely without any label that told readers where the quote came from. In fact, they didn’t even put quotation marks around it. The writers have placed my quote inside their own prose and acted as if it is their own, violating the U.S. Copyright Law. Aren’t we supposed to stick together? I know I try to help other writers, so that’s why I’m sharing my story. To be honest, I wasn’t originally going to blog about this, because I thought it was better to handle it in a silent matter, but I cannot stay silent because – sadly enough – this happens all too often. I’m sharing my experience because I need to. I do not want to get anyone in trouble, but it is difficult when someone is literally breaking the law by stealing what one owns. In fact, I’ve already taken measures with everything because I have to. I spent years writing my novels, and they were properly copyrighted for this exact reason. That is my right as an author, but I have to practice that right if it is going to mean anything. I cannot simply sit back and be “the bigger person” because that causes this to happen more and more and more. By sharing my story, I hope to show authors why they should take all necessary precautions in order to protect their work. I also hope to encourage readers to quote authors properly, but I REALLY hope that this post discourages writers who are blatantly stealing from others and acting as if it is their own. I will get to all of these points below. If I hadn’t posted this photo, I doubt I would’ve ever found out what had happened, because that picture is why my follower recognized the quote later on. This quote has been used on numerous websites in different books. Not just once. The writings were mainly fan fiction stories that are not focused on my novel or even my genre, but one person was charging for their story. On top of that, not a single person put quotations around my quote nor added a footnote that explained where my quote came from. 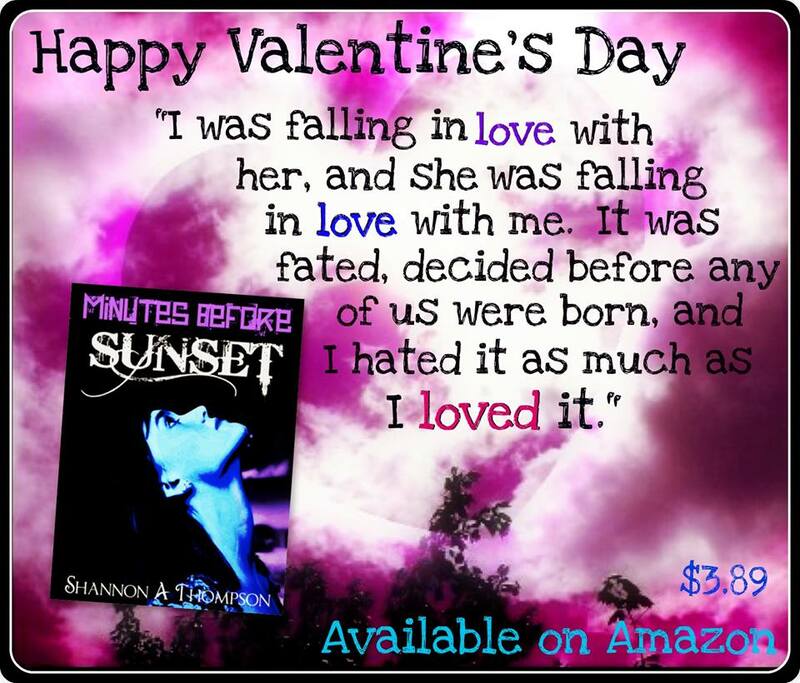 Every single one was published AFTER Minutes Before Sunset was published as well. You know what is nice? It’s nice when they look up to you and share it with people – not steal. There is nothing “nice” about stealing. That’s like me telling my neighbor who’s house was broken into that it was “nice” because the robber was envious of their things. Take the necessary precautions. This means getting your novel copyrighted. This also means taking action when your copyright is violated. This could either be contacting the writer and asking them to either quote you or to remove it. Hopefully, it was a mistake. If they refuse to do either (or even ignore you) take action. File when your copyright is violated. On most writing websites, there’s a form right at the top. Please, do not sit back and allow people to use entire paragraphs from your stories by placing them in their stories. (Just for clarification, we are not discussing quoting someone on Twitter. We are discussing someone trying to pass your writing off as their prose.) If we sit back, it will continue to happen. However, if you continue to do this, I just want to add one thing from the U.S. Copyright Office, “Under certain circumstances, the infringement may also constitute a criminal misdemeanor or felony, which would be prosecuted by the U.S. Department of Justice.” There are criminal charges, but no one wants to do that to anyone. Stealing a few sentences isn’t worth it. You can write on your own. Just believe in yourself. In the end, this can be a sensitive issue, but we must face it together – writers, readers, and authors. Writers who have done this don’t want to get in trouble for it, but authors who have been victims of this don’t want to continuously be taken advantage of. As an author myself, I would help any writer who came to me and asked if they could quote me in their novel’s prose by either allowing something like a footnote or helping them find a way to word how they feel in their own words instead of just using mine. We all share the same love for words. Just share the same love for each other. Of course. 🙂 I appreciate those who spread the word. You also did a great job with the post. I also cannot fathom why anyone thinks it is okay to rip off another author’s hard work, especially anyone who considers themselves a writer. Would make me question any writer who I saw doing this. Thank you for sharing the post! It is very upsetting, but hopefully talking about it will prevent writers who think it’s okay to continue to do so. As disheartening as it is when you feel someone has repurposed your work for their own, unfortunately you can’t actually copyright a phrase or even two. How often do we all say and write things of common usage? If the author in question has mirrored you work throughout, you could take action. If this “author” knowingly and willfully used your phrase it is reprehensible but not necessarily illegal. The good news is if this author creates his work from bits and pieces of others, he probably won’t sell many books. I’m writing a rather long response, but it isn’t against you. I just wanted to clarify that, because I wanted to explain more of the situation as well as the laws below since they weren’t included above. I even appreciate your time to read and comment, and I think you made great points. Thank you for adding to the conversation. According to Harvard, “In academic writing, it is considered plagiarism to draw any idea or any language from someone else without adequately crediting that source in your paper.” Now, while my novels are not academic writing, I still do not think we should sit back and be okay when creative writers are using author’s paragraphs in their prose and distributing it as such. Cliches are exceptions due to loss of attribution, but there is often a “five-consecutive-word-count” used to determine plagiarism. In both of the cases above, that happened. According to the Copyright Office, “The copyright owner also has the exclusive right to create or authorize the creation of derivatives of that work.” Derivatives can include quotes – like the five word count – but, yes, it is often handled on a person-to-person basis. Ultimately though, this post is not about pressing criminal charges on anyone. This post is meant to discourage aspiring writers from stealing from authors, while also helping authors know what precautions to take in order to protect themselves if they are stolen from. Thank you for reading and commenting! I have heard about the questions about Cassandra Clare, but I haven’t looked into honestly. I just love her work. But you’re right – maybe I love someone else’s – and I will make it a point to look into her story more. I believe Stephanie Meyer also came under fire after her fourth book came out. And J.K. Rowling in the U.K. about a wizard book that had four main characters instead of three. It’s hard to say if someone purposely copied content, but when it’s word-for-word, I think we should definitely stand up. I think I feel a post about this coming up for myself – I’ll add a link to your post here Shannon because I think writers and aspiring authors need to be more aware of this issue on both sides of the fence! Looking forward to it, Ken! Definitely reblogging this, it’s a terrible thing. I’m lucky I live in Scotland so I get automatic intellectual rights to my work but it’ll be good to make sure my work is copyrighted. thanks for the post. Thank you for sharing this as well as taking the time to read and comment. I found your information about Scotland interesting! It’s fascinating how countries deal with copyright differently. Really good post from Shannon A Thompson to remind us all as writers to look after our work. How devastating for you, Shannon. I completely understand why you feel so strongly about this. Any self-respecting writer would not deliberately steal or pass off others work as their own. I think you have every right impose your rights in regard to copyright and protect your work. I also think you raise a great point in helping new writers but that common courtesy and respect are a must in any author-writer relationship. It was pretty saddening. I was upset for a while, but I knew doing something about – being proactive about it – was the best thing I could do in order to handle it. I hope that aspiring writers who do this come across this post and leave knowing how to properly go about it. I am certainly going to bookmark this for future reference and hope that should I ever get published that it doesn’t happen to me. Interesting post. I think copyright is a confusing issue especially when different countries have different laws. You get conflicting advice. I’ve read that in the UK once you’ve published your work then it is copyrighted, but this, for me, has always seemed too simplistic. It must be very annoying that they did that to you. It’s a good quote, one that would be quite memorable to a reader. If readers end up thinking someone else wrote it, how unfair would that be to you. You shouldn’t feel bad that you spoke out. It’s your work, after all. And you need to protect it. It is very interesting how countries handle the copyright issue differently! There was another commenter that shared information about how Scotland goes about copyright. I agree. These moments are sad for not just the author that it happens to – but also for other writers and authors, because they can sympathize with how hard everyone works. This it, it seems to me, a function of the Internet, where everything is free for the taking… or so it appears. I’ve had this conversation with my teenaged son, who scoffs at me for buying music when he’s able to download whatever he wants, free. I told him those musicians are just like me, trying to earn money from their art. I’m glad you found out about it, and I’m glad you took action. Educating with firmness and tact is about all we can do. Very true! I think the internet has definitely created this special mask on everything that makes people feel like they own everything. It is so easy to copy and paste, after all. But that doesn’t make it right. And I agree with music and movies. I buy all of mine, and since I can’t afford everything, I often rely on websites like 8tracks to listen to music. So sorry this happened to you. Your blog opened my eyes. Thank you. Thank you for this Shannon. It needs to be said and your advice is great. Thank you for reading! I do think this topic needs to be discussed more. When it happened to me, I realized how many authors have not discussed it openly, using real examples. (I think this is because no one wants to offend anyone or call anyone out.) But if we don’t talk about it, I’m afraid the issue will only get worse. I also think using real examples ground the issue in reality. Reblogged this on Write Here Write Now. It’s truly terrible that this kind of stuff is happening. As a new blogger I thought it was really shocking and unacceptable. The Blogosphere is supposed to be a safe place to share our skills and writing without having to worry about possible breaches. Blogosphere It is not meant to be a place to steal content and reuse as one’s own. I sympathize with you about what happened, but am happy to see how you took a strong stand against it. Wow, I’m so sorry to hear this happened to you. Attribution is important when borrowing someone’s words. In most cases, though, relatively short quotes without attribution will amount to plagiarism, but not copyright infringement under US law. Plagiarism is unethical (and might violate academic policies), but it is not illegal under US law unless the person has borrowed a significant enough piece of someone’s work without his/her permission. Also, I just wanted to add some additional information to your advice that writers/authors should get their novel copyrighted. Registering a piece of work is optional. As the US Copyright office says in its FAQ: “Copyright exists from the moment the work is created.” You only have to register with the US Copyright Office before filing a lawsuit, and you can register after the infringement but before you file the lawsuit. Thank you for adding more information! There actually was a lot more taken from the novel than just one quote, and one person was selling it. I added more specific information and the laws in a comment above to clear confusion, but I really appreciate your information.It’s very relevant to this topic, and it helps more readers understand everything. This is so sad. Yesterday I read about an author who googled his work and found several sites giving his novels for free to download. Apparently once the person downloads it also downloads a virus. It is true, authors do not talk much about this and it is happening more. Thank you for bringing this to light. Thank you for sharing your story and giving us writers a heads-up. We writers, authors, and creative types do need to stick together and hold each other to a higher ideal. It is not flattering to steal someone else’s work, it is plagiarism, plain and simple. May I re-blog, Shannon? Thanks so much for this information and I’m sorry it happened to you. Glad to hear it all worked out! Of course! Thank you for reading. Well, we’ve always had a percentage of folks who have preferred to live off your work so as not to have to perform work of their own. And we have Libertarians, who don’t believe in copyrights. And now, we have computers that make the entire government copyright structure into a joke of sorts. This will, seems to me, get a lot worse before it gets better and be a long time sorting out. It’s a major change in tech accompanied by a major change in social views of ethics. Reminds me of the old: “When about to be raped, relax and enjoy it.” shtick. As you note, at least, they think you’re worth stealing!